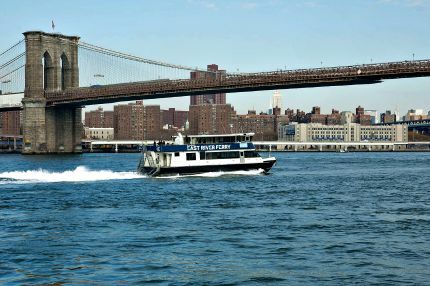 Hop on the East River Ferry to explore attraction-packed neighborhoods in Brooklyn and Queens. Fare: One-way - $4 on weekdays, $6 on weekends for ages 5 and up. Two children under age 5 ride free with each paying adult. $1 extra per bike. Explore a new-to-you NYC neighborhood via the East River Ferry. This commuter boat hits the attraction-packed neighborhoods of Dumbo, Greenpoint, Williamsburg and Long Island City, and you see plenty of New York Harbor sights along the way, including great views of the Statue of Liberty, Ellis Island and the downtown Manhattan skyline when going to Brooklyn. Strollers are welcome on board and there's even a bike rack. In Dumbo you'll find the northern end of Brooklyn Bridge Park, featuring Jane's Carousel, the Main Street and Pier 1 Playgrounds and the Brooklyn Ice Cream Factory, all a short walk from the dock. If you're up for it, stroll or cycle south to enjoy the rest of the green space's many attractions, including a seasonal pool and a roller-skating rink on Pier 2, and one of the best playgrounds in NYC on Pier 6. Find even more things to do in the area in our Dumbo Neighborhood Guide. In Long Island City you can explore a pair of gorgeous, riverside green spaces: Gantry Plaza State Park and Hunters Point South Park, both of which boast playgrounds, water play areas, lush lawns for picnicking and stunning views of Manhattan's Midtown East. About a mile inland you'll find cutting-edge art at MoMA PS1, plus many small local galleries along the way. Find even more things to do in the area in our Long Island City Neighborhood Guide. In North Williamsburg hit East River State Park, which has playgrounds, picnic tables, amazing views of downtown Manhattan and the seasonal Smorgasburg market on Saturdays. About a half-mile inland is McCarren Park, which has a very popular pool. See our Williamsburg Neighborhood Guide for more ideas for things to do in the area. Keep in mind, the East River Ferry also has docks in nearby Greenpoint and South Williamsburg, though more family attractions are located in North Williamsburg. 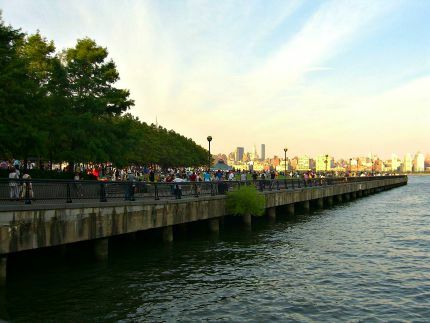 Hoboken boasts a lovely, waterfront pathway with great views and fun playgrounds. Fare: One-way - $7-$10.75 for adults, $3-$6.50 for children ages 6-11, depending on where you board. Two children under age 6 ride free with each paying adult. Another commuter ferry that makes for a fun day trip to another state! Lovingly called the "sixth borough," Hoboken offers lots of attractions and activities. Stroll or cycle along the waterfront and take in awesome views of downtown Manhattan. It's worth traveling to Pier C for its exceptional sand and water play areas. Pick up a sweet treat at Carlo's Bakery of Cake Boss fame, and then walk down quaint Washington Street. Bonus: Children under age 12 ride FREE through Labor Day. 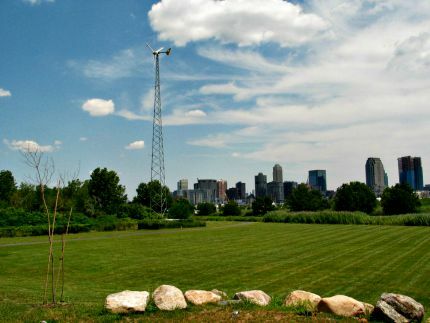 Just across the Hudson River, Liberty State Park features lush lawns, awesome views and the Liberty Science Center. Explore another Hudson River park on the opposite shore. Liberty State Park offers incredible views of the Statue of Liberty (plus yet another ferry to the Statue and Ellis Island in case you want to see them up close). Other attractions include the Historic CRRNJ Train Terminal, a small nature center and the huge, hands-on Liberty Science Center. 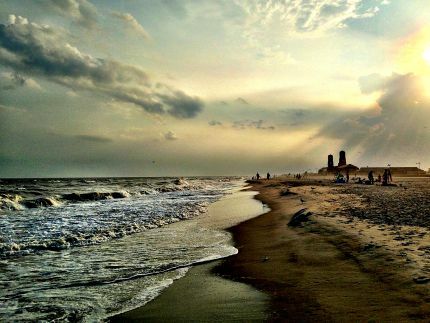 Located on the western part of the Rockaway peninsula, Jacob Riis Beach makes for an relaxing day trip. Fares: One-way - $20 for adults, $10 for children ages 5-12. $5 for bikes and surfboards. The name of the ferry is slightly misleading as you end up at Jacob Riis Beach, which is west of Rockaway Beach. That said, it's one of our favorite, family-friendly shores and the weekends-only boat gets you there in just under an hour. Once you arrive, soak up the sun and surf, and check out the recently opened Riis Park Beach Bazaar for artisanal eats. If you tire of Sandy Hook's shores, explore its historic lighthouse. Fares: One-way - $26 for adults, free-$10 for children ages 5-12. $5 for bikes. These luxe cruisers take you to a pair of popular New Jersey beaches in style. Enjoy amenities you don't find on other ferries like free Wi-Fi, air-conditioning, TV and a snack bar. In just 45 minutes, families will arrive in Sandy Hook where a free beach-side shuttle deposits visitors at seven miles of beachy long shore. Swimming not your thing? 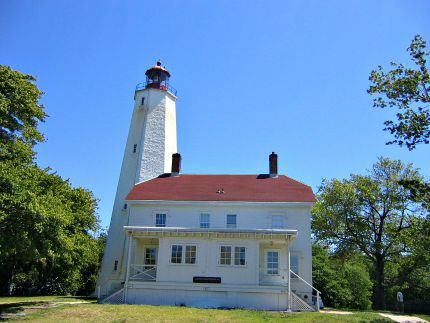 Sandy Hook also offers biking, hiking, boating, fishing, birding and a historic lighthouse to explore. On weekends only, you can also take the Seastreak to the ocean at Sea Bright.